9x13" traditional bar pan with a custom Wheelbarrow Flowers design lid. 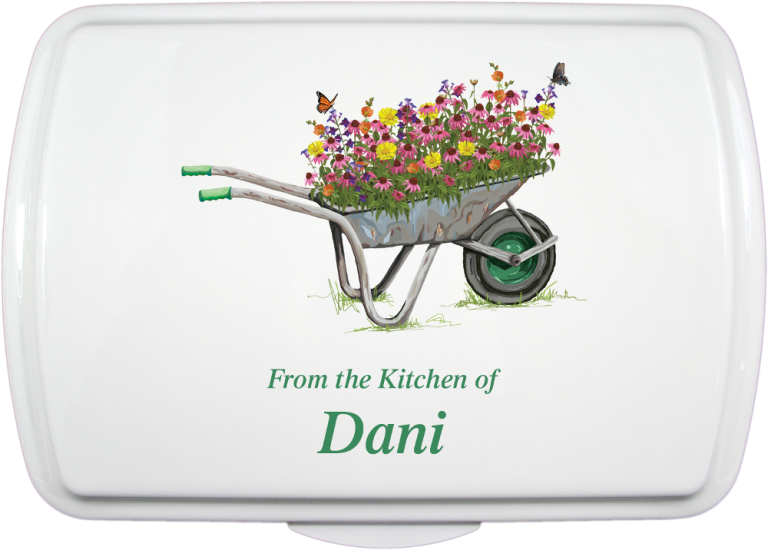 9x13" Doughmakers® cake pan with a custom Wheelbarrow Flowers design lid. 9x13" non-stick pan with custom Wheelbarrow Flowers design lid. 9x13" traditional cake pan with a custom Wheelbarrow Flowers design.